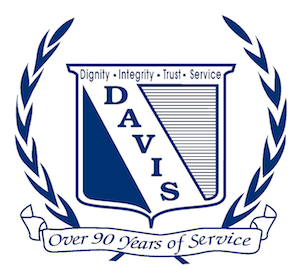 I just wanted to say thank you to Davis Funeral home. They were so caring and helpful every detail was taken care of with love and respect to the family. They went above and beyond. David, Tony, Jennifer, Jimmie just to name a few were so helpful as many in the background with all of the requests and details. I am so grateful to each of you. May God bless you all. There are no words possible that would express the gratitude for the exemplary services that were provided to my father and family. When I say that everyone I came in contact with went above and beyond assisting my family I truly mean it. Planning a funeral can be stressful and emotionally daunting but Jeff, Jimmy, Rev. Harris actually made the entire experience enjoyable because of the people they are and in moments of grief and stress that's what a family needs, they all provided that and more. I cannot sing Davis Funeral Home's praises enough. The staff are a great group of people doing more than providing a service they provided a lasting impression on my family and we will never forget that, all funeral homes should use Davis Funeral Home as a template for stellar family service not simply customer service . David said that Davis Funeral Home would handle everything and true to his word they did with one unexpected pleasant suprise after another as a lasting memorial to my father . I would like to extend a special thank you to Jeff, Jimmy & Rev. Harris and remind them to RSVP to the invitation to the family cook-out that we invited them to next summer, I hope to see you all there!